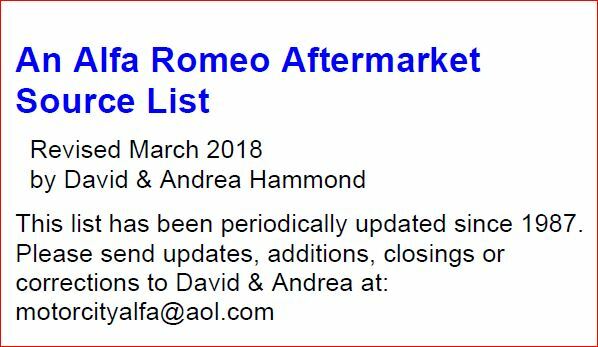 A PDF file is provided below as a download to assist owners of vintage Alfa Romeos in locating parts and services. It is not an official list nor are the places or people endorsed by AROC. The list was developed by David Hammond and was last updated October of 2015. Manuals and color wiring diagrams are available through the AROC Tech Library, courtesy of Jim Neill.